Michael Venditte has been in Fabrication and Design for over 30 years. Holding several certifications for Audio Installation and a work history that includes A & M Records, Saturday Night Live Productions, TD Audio Inc., and County College of Morris in NJ, Michael has been involved in every aspect of designing and manufacturing the product to meet client specifications. It is this drive and commitment to excellence that drove Michael to open up his own company in 1983: working on national accounts for Disney Theme Stores, Gitano and Blockbuster Video. 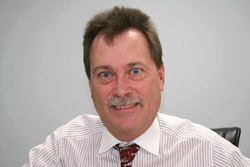 Michael has now brought his passion for offering superior service to the AVSI team. 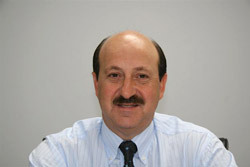 Sal Martino has been a successful sales and management executive in the audiovisual industry since 1985. Having extensive knowledge in the design, sales and installation of professional visual communication systems, he has worked closely with the federal government in establishing contracts for top level boardrooms, videoconferencing systems, and command centers. His sales and management background experience includes managing Fortune 500 corporate accounts, state, local government, and education markets. As VP of the AVSI sales team, Sal is committed to ensuring that each sales representative is to the highest standards of product knowledge, system design, and customer service. 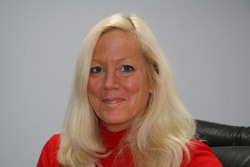 For over 20 years, Marti Steiner has been in the Audio-Visual industry. In understanding how important a good foundation is to the core structure, Marti has been very successful in helping AVSI attract and maintain a first rate crew. As the Operations Manager, Marti takes the lead in cultivating a work environment that is conducive to a high level of productivity. Marti not only manages the office and administrative functions for the Company, but she also handles the inventory, job costing, billing, purchasing, AP/AR, and scheduling of shipments. 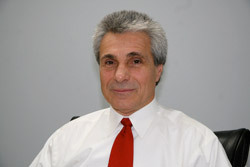 Michael has 28 years of experience in the Audio/Visual integration business. 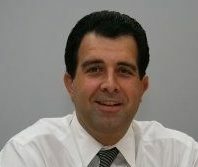 His years of experience have helped him provide solutions for boardrooms, auditoriums, stadiums, and conference rooms for Fortune 500 accounts as well as leading Universities, Colleges, and School Districts in the Tri-State area. Michael is a graduate of Long Island University. Michael is also very active in his community serving with the South Amboy Fire Department as well as the South Amboy First Aid and Safety Squad and holding leadership positions with both organizations. Michael is also involved with the Melrose Blackhawks Senior Drum & Bugle Corps.